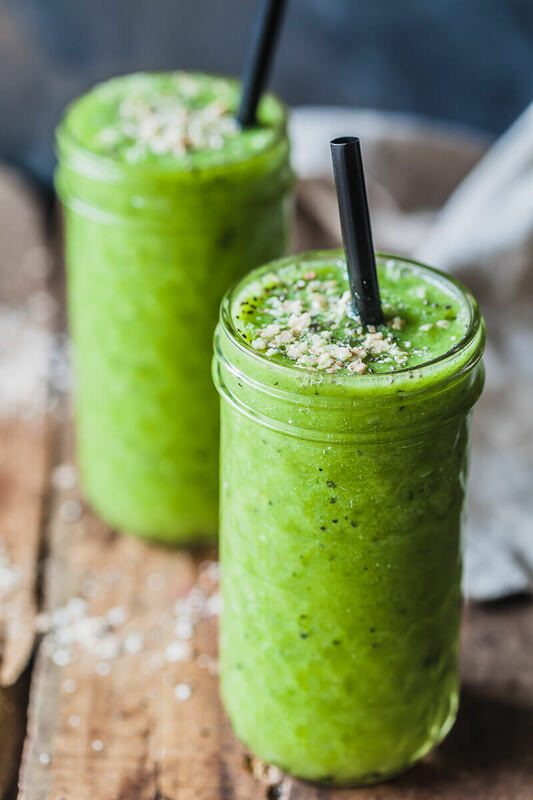 An amazing 4-ingredient Pineapple Spinach Green Smoothie to start your day right! Vegan & Gluten-Free, no banana, quick & easy! Peel pineapple and cut into chunks. Slice and apple into quarters and remove the core. Cut orange in half and squeeze out the juice. Place pineapple chunks, apple slices and orange juice in a blender. Add spinach leaves. Optionally, add the juice of a passion fruit. Add a splash of water and blend until smooth. If your smoothie is too thick, add more water as needed and pulse to combine. Pour smoothie into tall glasses and decorate with chia seeds and buckwheat cereals to taste. You can also skip this part and enjoy the smoothie as is.